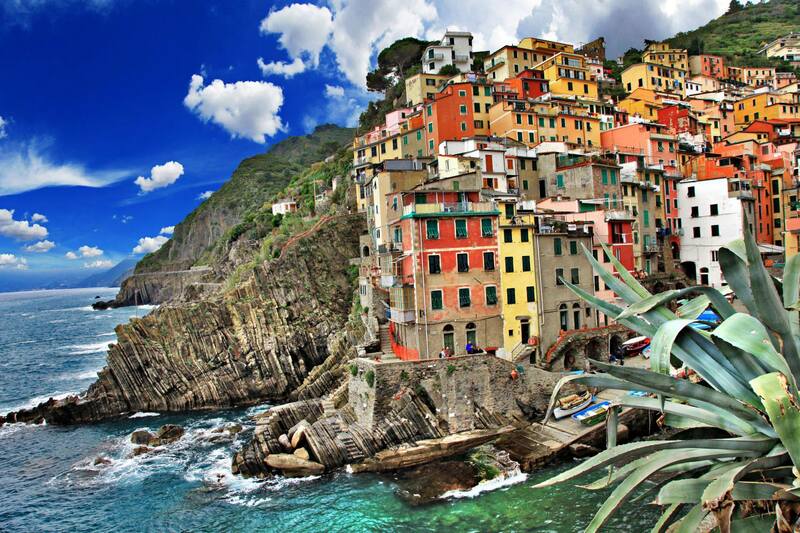 Cinque Terre (Five Lands) is a place on the Italian Riviera in the Liguria region that includes five amazing fishing villages Monterosso, Corniglia, Riomaggiore, Manarola e Vernazza. In the 1997 Cinque Terre were recognized as a World Heritage Site by the UNESCO and are also a National Park. Cars aren’t allowed, so you have to move from village to village by local train, boats or one of the amazing trails that connect them which is certainly the best way to see all the beauty this magical destination has to offer. These coastal paths are one of the main attraction of the National park, thousands of tourists from all around the world come here to enjoy long walks along these trails and confirm it is a perfect place to keep in touch with nature. Amazing colored buildings, historic sites (ancient castles, walls, churches) and particular landscape will for sure leave you breathless. There are also a lot of beautiful small pristine beaches. Monterosso is the biggest village of five, with a long sandy beach in the center of the village. There are many historic attractions to visit from the tower of Aurora, one of few towers left nowadays, there were 13 towers in XVI century, Cappuccini Monastery, chapels, etc. Vernazza is maybe the most beautiful of all villages, it offers some amazing panorama from Belforte tower. Corniglia is the smallest village and the only one without a seaport. It has some beautiful beaches nearby, for nudists also. Riomaggiore and Manarola offer also interesting historical attractions, other than a beautiful landscape that is definitely worth visiting. There is also a small village named Portovenere that doesn’t belong to Cinque Terre but it is situated nearby so if you intend to visit Cinque Terre take time to visit this small fishing village and small islands in front of it.